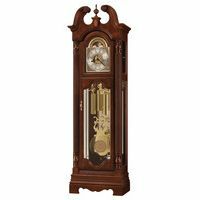 This is an antique New Haven Clock Co. Banjo clock. Both of the glasses are in great condition and have super color. 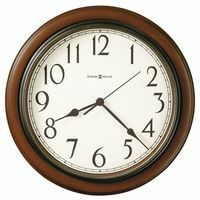 The clock runs well and strikes the hour and half hour on a good sounding gong rod. The silvered dial is a little tarnished but looks good for its age. The bezel and convex glass over the dial are also in good shape but the latch is missing, however the door stays shut when closed. The bottom door hinges could use a minor adjustment or could be left as is.The right sidearm has two small cracks if you look closely but not very noticeable. 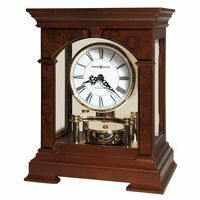 The clock is 32 inches tall with a beautiful eagle finial, 10 inches wide and 4 inches deep.